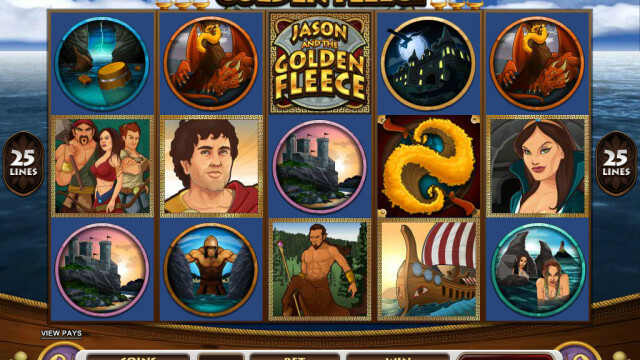 The excitement is palpable for the newest video slot release Jason and the Golden Fleece. Based on Greek mythology, Jason is the leader of the Argonauts and is on a quest to retrieve the Golden Fleece of a mystical ram. This quest is filled with many figures that are depicted throughout the game. Such as: flying harpies, Medea (Jason’s true love), a vicious dragon, and of course the fleece itself. 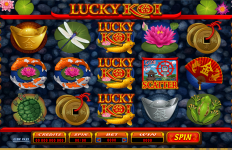 Video slot machine players who enjoy the second screen bonus have found a game filled with 6 different bonus games all based on Jason’s journey to capture the fleece. 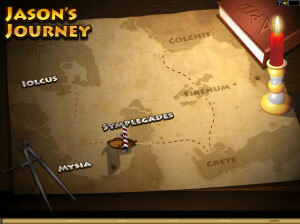 The games are in story line fashion and must be completed before the player can advance to the next stage. The bonus round begins with the shield bonus where a player can pick six shields for hidden treasure. Next, is the Harpy bonus where the player selects Harpies until a match is made. 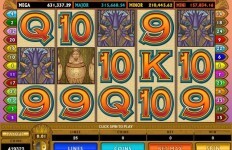 Select the 2x multiplier and double your bonus. The next bonus phase is the shipwreck where players receive two bonus picks. Then on to the Crete wheel bonus where the player can spin the wheel-of-fortune style wheel up to five times. The Sirenum Card bonus allows a player to play a Hi-Lo card game. Finally, the player has made it to Colchis and the player gets to pick between 20 potions. The object is to produce a potion that will put the dragon to sleep and capture the Golden Fleece. If the player is fortunate enough to accomplish this feat they will be rewarded with plenty of treasure. Jason and the Golden Fleece also includes many of the other bonuses slot players look for such as Wilds, Free-Spins, and scatter pays. 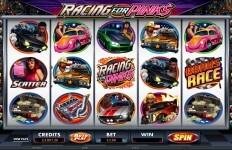 This game is an adventure filled with lucrative bonuses. 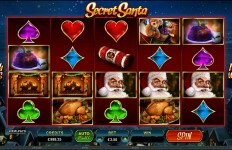 Slot players will love the second screen bonuses and become captivated by the story of Jason and the Golden Fleece.